Keeping your refrigerator clean helps reduce germs, and keeps everything smelling fresh. This guide is about cleaning your refrigerator. After cleaning the outside of my refrigerator, I place plastic wrap or "press 'n seal" over the entire top. Just replace as needed. Saves a lot of elbow grease. I hate cleaning my refrigerator, so I'm always thinking of ways to make it easier. I have a side by side one. I take my shelves and drawers out, and wash them in the dishwasher. The dishwasher done a great job cleaning them. I just two at a time and that way I don't have to empty the all the food out. All I have to do it just wipe the walls and the bottom out. I hope this helps another busy mom out. Editor's Note: Some drawers are not dishwasher safe and can be damaged by the hot temperatures. If you do not do this, your refrigerator will work harder, using more electricity. It also will shorten its life. Follow the directions in your manual. Next time you scrub out your refrigerator, scrub it with baking soda added to your water. It gives it a clean fresh smell. Then, remove the lid of the baking soda box and place it in the back to absorb odors. Usually, the box will last for a month until you clean it out again. When that box is ready to dump out, either dump it into your garbage disposal with water to freshen it, or sprinkle into the bottom of waste baskets. You can also place a bowl of coffee ground (unused) into the fridge to help absorb odors, or a cotton ball soaked in vanilla. Check your refrigerator gasket seals by inserting a dollar bill into the door then shutting it. If it slides or easily pulls out, you need to have your seals replaced or the door adjusted. Do this all along the door of the fridge and freezer. If the dollar bill will do this, then you are loosing cold air, a waste of energy. 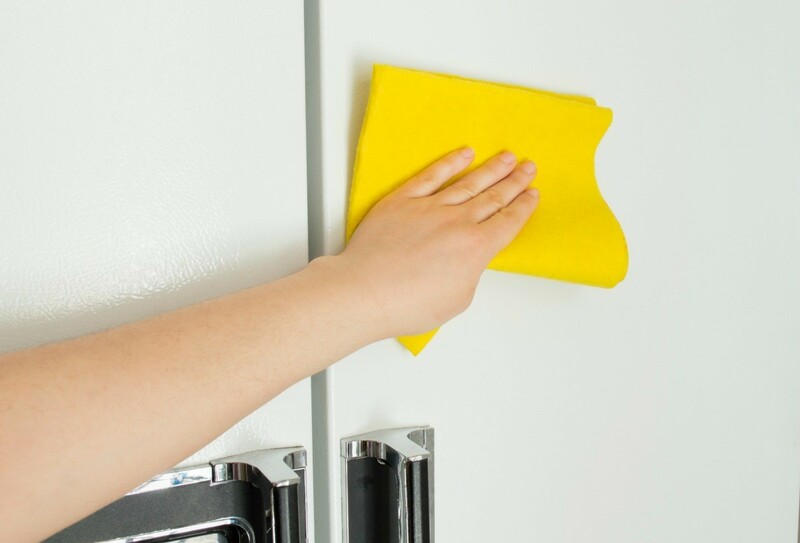 Wipe down your refrigerator gaskets with pure vinegar. This will help prevent and kill mildew. Don't forget to remove the crisper drawers and clean under them as well. 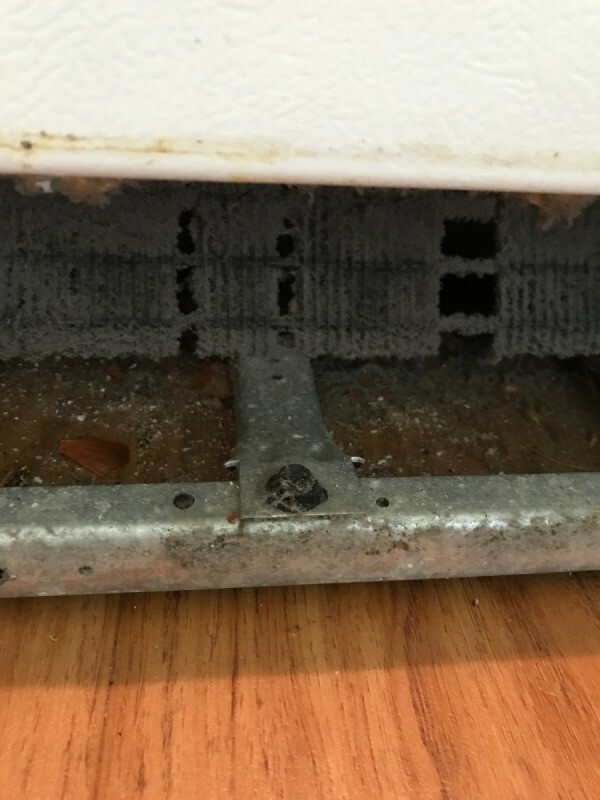 Monthly, clean the coils under and in the back of your refrigerator. Clean coils use less electric. If you get scratches on the outside that damage the paint, you can buy appliance paint to cover them. If you have an unusual color and can't find the correct color, check with the local auto repair shops for automobile touchup paint or even nail polish. If you have a damaged plastic interior part, you can often find the replacement part in second hand appliance stores, or even at the city dump. 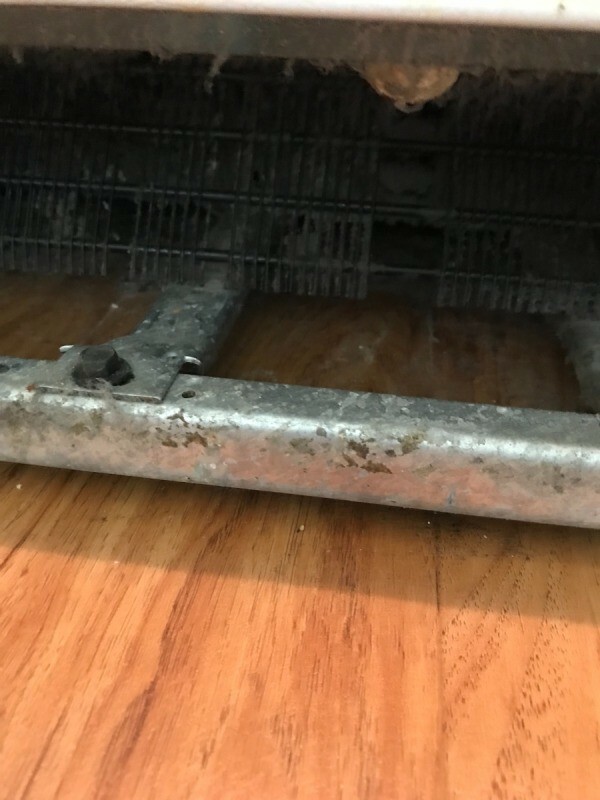 Contact scrappers and tell them if they happened to scrap a Kenmore (or whatever your refrigerator brand is) and the model number, you need a crisper drawer or whatever the part is. Since the plastic has little scrap value, often they will just give you the part. Label foods with name and date. Use it before it goes bad. Remember, a clean refrigerator keeps food fresher and it tastes better. I always clean out food from the fridge every week on the day before trash day. That way, there is no rot smell in the house or rotting food in the fridge. I designate one day each week to go through my refrigerator to clean out any spoiled food and look for any good leftovers. Once I am finished with this task, I create a new recipe from the leftovers. When I clean my refrigerator, after removing all food and checking every thing, I take out all the shelves and bins. I then put them all in my "clean" bathtub. I admit cleaning the fridge is not high on my list but after I'm done cleaning the outside, I take strips of plastic wrap and place it on top of the fridge. Voila! Next time? Just replace. Pick one day a week to clean out your refrigerator and wipe the shelves out then you'll do less work and always have a cleaner fridge than if you always let it get gross. When refrigerators get old or have been in storage for a long time they can take on a stale odor, making it a less than appealing place to store your food. Often what happens is mold grows and creates the bad odors. Use the following recipe to help remove the mold and the odor. I have a GE refrigerator and the handles are turning orange. They said to use a cleaner called Hot Melt which cannot be found anywhere. Can you give me the name of a cleaner to clean them? I use vinegar in my kitchen to clean everything. It cuts the grease & etc. Good luck. My double door fridge is white. The handles have turned yellow. I have tried lots of things to get them clean, my latest being oven cleaner, but to no avail. They never come clean. Any suggestions? Try making a paste with baking sida & white vinegar. Apply & scrub with a net ball or old toothbrush. Tips for cleaning out the fridge. Post your ideas. When cleaning out the refrigerator I put all the stuff to be thrown out into those Walmart bags that we all collect. I always double or triple the bags and put into the kitchen garbage. This keeps for at least one day while I continue to clean and also put any garbage from meals into the can. I then can wrap up the whole kitchen trash and add the bathroom too, which I also put the walmart bags into. Any leftovers that are too "old" for us to eat, I give to our dogs. If you do not have a dog, keep an ice cream pail in the freezer and save the old leftovers for a friend or relative's dog. When we had rabbits, the "bunny food" that was older went to the rabbits. Now, the old lettuce and salad stuff can go into the compost pile or just into the garbage. After cleaning out your refrigerator, dampen a cloth or clean sponge with white vinegar and wipe down the walls and shelves in the fridge. It will both cut down odors and help prevent mildew. Hi, I need to sell my old fridge. What's the best way to clean it thoroughly as well as eliminating the bad smell? Somebody said to use charcoal and baking soda? Thanks. What do I use to to clean and freshen your refrigerator? I have tried everything and it does not work. Try a magic eraser. Also try some baking soda and water. Leaving a box of baking soda is also a good option. Freshening I use a brown paper bag, wad it up and place it in the back of the fridge. Change when you need to! For cleaning, I use equal amounts of vinegar and water, spray it on wipe it off.! Hopes this helps! My vegetable bin has some gunk between the front white part and the clear plastic part of the bin that I cannot get to. I am afraid of trying to take the front part off for fear of breaking it. Any suggestions? This is a guide about removing odors from a refrigerator. Determining the source is the first step in removing odors from your refrigerator. This is a guide about cleaning grease off a refrigerator. Your kitchen can be a greasy environment, leaving residue on appliances, counters, and cabinets. I have a white, two door refrigerator with textured handles. They look horrible. I have tried Magic Eraser to no avail. Does anyone have a successful cleaning method? I sure would appreciate any help. I cleaned that today with soft scrub. The door handles were very dirty, the soft scrub made them white again. After thoroughly cleaning the outside of the refrigerator, I line the top with plastic wrap. No more greasy, dusty grime!